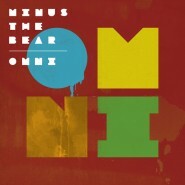 Seat­tle indie-exper­i­men­tal band Minus the Bear released their fourth LP, Omni, ear­li­er this month. Minus the Bear has enjoyed increased pop­u­lar­i­ty over their last three albums, and it seems as if Omni will be no dif­fer­ent. With it, the band takes the approach­es of their ear­li­er albums and dis­tills them into the exper­i­men­ta­tion of Omni. How­ev­er, while Omni cer­tain­ly shows cre­ativ­i­ty and skill on the part of the band, it suf­fers from a num­ber of seri­ous flaws that pre­vent it from reach­ing excel­lence. Though nei­ther the sound style nor instru­men­ta­tion of Omni is ter­ri­bly orig­i­nal, Minus the Bear does spend quite a lot of time devel­op­ing the instru­men­tals. As a result, save for the occa­sion­al nau­se­at­ing stereo effect, Omni pro­gress­es quite well, and is both catchy and inter­est­ing. The best tracks, includ­ing “Secret Coun­try,” have obvi­ous sec­tions, made up of numer­ous, dense­ly com­bined, indi­vid­u­al­ly excel­lent lines that flow and crescen­do into one anoth­er, all the time main­tain­ing a sense of cohe­sion, while the most that can be said about the worst is that they, for their con­sid­er­able length, grow some­what tire­some. Addi­tion­al­ly, while some odd issues do pop up, such as the near-out of tune grat­ing between the bass and gui­tar on “Sum­mer Angel,” instru­ments are incred­i­bly rich, some­times even to a fault, and every instru­ment, synth gen­er­at­ed or oth­er­wise has an uncan­ny lev­el of depth to its sound. In short, the record­ing is excel­lent. A huge amount of care clear­ly went into con­fig­ur­ing the stereo, and the excel­lent pro­duc­tion job very evi­dent­ly adds quite a bit to the qual­i­ty of the album. Lead vocal­ist Jake Snider’s voice is less a strong or weak ele­ment of Minus the Bear’s music than it is sim­ply an ele­ment. Snider’s voice is prob­a­bly best described as “sol­id” - gener­ic, but not bad. As such, Omni’s vocal ele­ment moves along with the music in a way that nei­ther detracts from nor builds onto the music. Occa­sion­al excep­tions, where a bit of col­or and char­ac­ter finds its way into Snider’s voice, do crop up, but they’re rare enough that the vocals are, on the whole, not very impor­tant. Unfor­tu­nate­ly, the lyrics of Omni are not quite so harm­less. Instead, their range is approx­i­mate­ly between inane and irri­tat­ing. Snider repeats the worst lines five or more times, mak­ing their impact on the album as pro­found­ly neg­a­tive as it pos­si­bly could be. For exam­ple: the line “When you hear this song / You’ll say you knew all along / You’re into me too” (repeat­ed inces­sant­ly on “Excus­es”) is only roman­tic in the cloy­ing, Hall­mark-card sense. After the sec­ond time it’s sung, it’s become annoy­ing. After the fourth (about five sec­onds from the end of the track), it’s man­aged to squan­der any cre­ativ­i­ty the instru­men­tals on that track dis­played. Omni is clear­ly not a per­fect album. Issues, pri­mar­i­ly lyri­cal, over­shad­ow much that is good on Omni, to enough of an extent that the end result is more mediocre than excel­lent. Still, it’s easy to see this album as gain­ing quite a bit of pop­u­lar­i­ty, per­haps most fit­ting­ly at dance par­ties, but def­i­nite­ly in oth­er areas as well. There are not all that many areas that tru­ly need to be improved upon for Minus the Bear to make a sig­nif­i­cant­ly bet­ter sequel to Omni, and we cer­tain­ly hope they do.